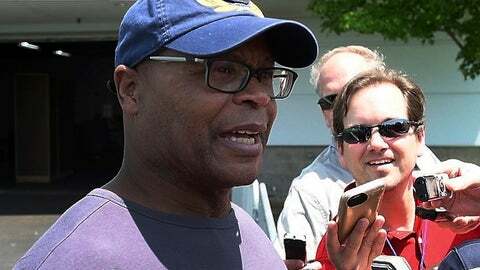 Hall of Fame linebacker and former NFL coach Mike Singletary is back on the sidelines at a private school in Texas while at the same time preparing to coach the Memphis entry in the new Alliance of American Football league. Singletary talks to PodcastOne Sports Now about how it is often difficult for star players to become successful coaches, and what he’s doing to try and change that. Singletary tells co-hosts Jim Litke and Tim Dahlberg that he is excited about the new league, which starts play in February. He said the talent level should be near the NFL, with many players who just missed making it into the NFL eager to get on board in the AAF. Singletary also said he is heartened by the way his former team, the Chicago Bears, is playing and said one player is really making the difference. Singletary said getting Khalil Mack from the Raiders has been the key to a defense that it keeping the Bears in almost every game. Litke and Dahlberg talk about star players who have joined the coaching or front office ranks and how success has mostly eluded them. There is also talk about the Woods-Mickelson exhibition match, two curling scandals, and a big championship win by a soccer team in Las Vegas.